Professor Raymond Wacks was a teacher in the Faculty of Law from 1984 to 2001 and Head of the Department of Law from 1986 to 1993. He is currently Emeritus Professor of The University of Hong Kong. On the occasion of the publication of his latest scholarly book, he kindly agreed to this e-interview for the HKU Legal Scholarship Blog. With a little trepidation, I submit below my answers to your searching questions. I should point out that, since leaving Hong Kong (HK) almost 16 years ago, I have neglected to maintain an interest in the legal and political vicissitudes of the Special Administrative Region, save for reading the occasional general article in the media over the years. During my 16 years in Italy I must confess that my preoccupations tended to be bucolic rather than Basic Law! Nevertheless, as you adroitly noted, I was able to produce (in addition to olives, vegetables, fruit, honey etc) several publications. None, however, was directly related to HK. I say all this by way of caveat. During my 17 years at HKU I freely pontificated and prognosticated about numerous aspects of HK law (regardless of my lack of expertise). I was frequently quoted by the press. And I even presented a weekly TV and radio show on HK politics. This baton (poisoned chalice?) has now been grasped by others, so my responses to your questions should be read in the light of my protracted geographical and academic distance from the subject. 1. You have been extremely prolific since you “retired” from the Faculty in 2001. I count 8 books of which 4 have multiple editions. 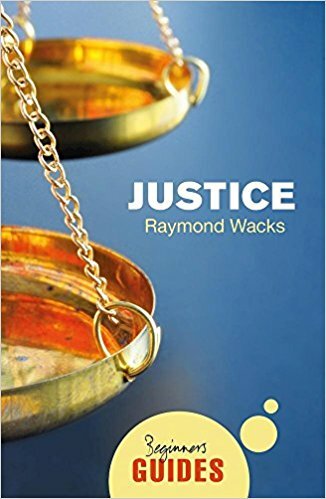 Your latest work published earlier this year is titled Justice: A Beginner’s Guide. Why did you write this book and what audience did you have in mind? ​It all began soon after my retirement from HKU. In early 2002 I received an invitation from Oxford University Press (issued with some dexterous arm-twisting) ​to convert an earlier student text on jurisprudence which was then in its fifth edition into a more substantial introduction to legal theory. I very reluctantly accepted. (I had only just cast off the yoke of academia, and, moreover, had disposed of a significant number of my books, journals etc). The first edition of Understanding Jurisprudence was published soon afterward. The fifth edition will appear at the end of this year. (I hope it is still being used by law students at HKU). The book has just been translated into Turkish. More than 500 pages! What an undertaking! I was then tempted to write a brief introduction to legal philosophy for OUP's hugely successful Very Short Introduction (VSI) series. I enjoyed the challenge of elucidating the central issues of jurisprudence in a chatty, reader-friendly style. 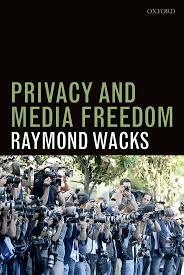 That book is now in its second edition, along with two more titles I wrote for the series, Law, and Privacy. My long interest in the legal protection of privacy resulted in OUP publishing my Privacy and Media Freedom in 2013 in which I adopt a rather iconoclastic position in relation to the current state of Anglo-American law on this contentious subject. The winters in Umbria and Tuscany are fairly harsh. Producing these manuscripts was an effective (and quite rewarding) way of remaining indoors when the days were short and there was little to do outdoors save for feeding our hens, goose, and other feathered creatures, and chatting to our Shetland pony, and vainly seeking to intimidate the hunters who encroached (legally) ​on to​ our land. My book is intended for both students and general readers. I have no idea if it succeeds in either category. 2. What contribution does the new book make? 3. Unlike your previous books, this one was published with Oneworld Publications. Why the change? ​My original proposal was to produce a fourth VSI for OUP, but, since I had already exceeded their limit of two titles (the only author, I believe, to have done so), I was unable to persuade them to allow me to do another. I therefore took my idea to the excellent independent Oneworld Publications. I had discovered them a few years ago. 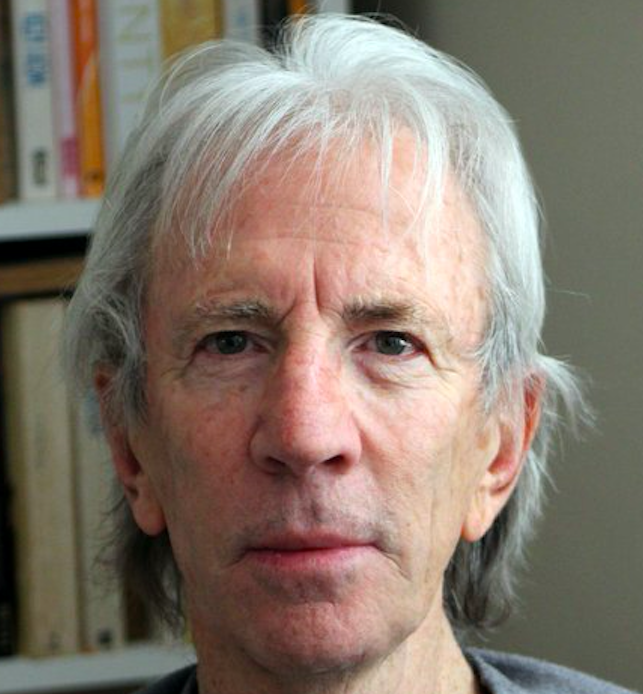 They have won several awards, and the last two novels that won the Man Booker Prize were published by them. I particularly liked their brilliant Beginner's Guide series. And, as I had been thinking about the question of social justice for several years (as I pruned the olives), they were the obvious choice. Have a look at their site and you'll immediately understand. 4. What would you regard as your most important work since 2001 and why? I suppose Privacy and Media Freedom​ is the most original and the most daring. I take serious issue with the judicial approach, especially in England, toward the formulation of the concept of privacy under the sway of the European Court of Human Rights' interpretation of Article 8 of the ECHR. Needless to say, the courts generally ​pay little heed to my views, though I was rather chuffed when the Supreme Court recently cited my earlier book, Privacy and Press Freedom, in their important judgment last year in PJS v News Group Newspapers Ltd  UKSC 26, . 5. One of your books is a work of fiction situated in South Africa. What is the book about and why did you write it? Like so many people, I believed that I could write a novel. I have been an avid consumer of literature all my life, and growing up in apartheid South Africa provided ample material for creative writing. ​I had a surfeit of memories to draw on, both good and bad, happy and sad. 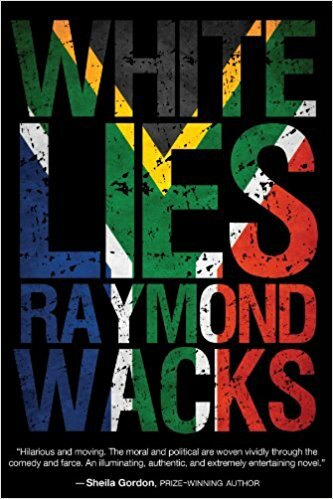 White Lies views the injustice of apartheid through the eyes of a white, idealistic boy as he progresses toward manhood. It attempts both humour and historical exactitude. These two links will help to explain: Broadway World (2 pages) and Amazon. 6. In the introduction of your 1999 edited book, The New Legal Order in Hong Kong (HKU Press), you wrote that the “common law is a hardy plant, difficult to uproot” and the “culture and traditions of our system, whatever its imperfections, seem destined to endure”. What made you think then that the Hong Kong common law system would endure? As we approach 20 years after the handover, do you continue to hold this view? I did (and do) believe that the common law cannot easily be eradicated where it has ​taken root. It is true that it is under threat from extremists and fundamentalists who would extinguish many of our most cherished ideals. But I cannot see how they can succeed. Nor is it clear to me how the mainland's so-called socialist legal culture can displace Hong Kong's - especially since, as far as I can tell, China is gradually adopting, or at least not rejecting, many common law principles and practices. 7. In your 2000 Hong Kong Law Journal commentary on the flag burning case (HKSAR v Ng Kung Siu), you wrote that “our courts have long cleaved to the common law’s tradition of protecting rights” and that in “these uncertain times, however, judges need to construct a more resilient fortress to resist the desecration of our rights, above which the flag of freedom might long be hoisted”. In your view, how well have our courts constructed that ‘resilient fortress’ upholding the ‘flag of freedom’? ​Given my failure (alluded to above) to keep abreast with judicial attitudes in HK, I am afraid that I am unqualified ​to answer this question with any degree of reliability. 8. One of our old Faculty Newsletters recorded that you had retired to a sunny and quiet villa in Italy. But you have now moved back to the United Kingdom. What led to the move and how have you enjoyed the transition?